London-based artist and educator who somehow seldom gets time to actually make any work, who writes about art, somewhat irregularly, at ImageObjectText.com and occasionally contributes to MostlyFilm.com – writing about art, mostly. 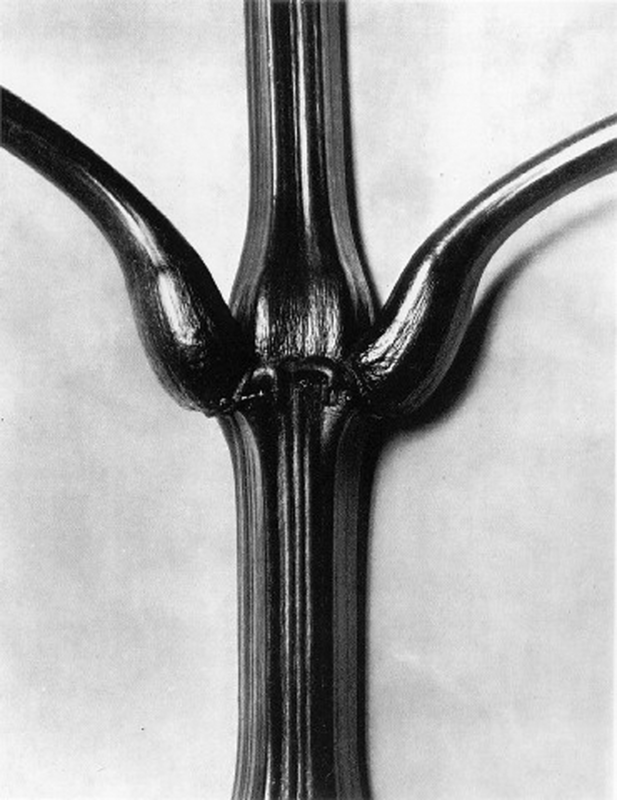 Aesthetically I rather love Karl Blossfeldt’s photographs of plants but they’re images I don’t really think about often. 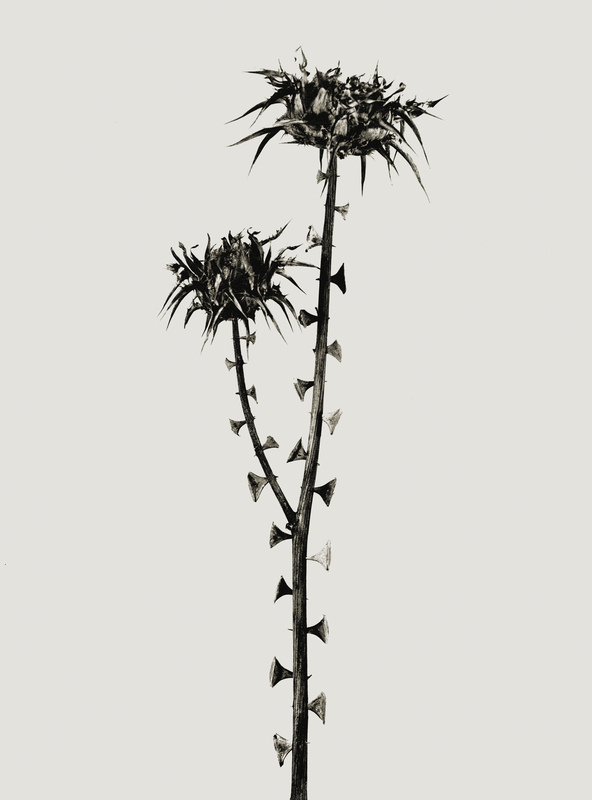 Joan Fontcuberta’s Flora series brought them to mind though and has send me back to take a fresh look. The images, made in the early twentieth century are simple close-ups of plant details. There are gorgeous curves, beautiful textures and, above all, weird forms that, while clearly plants, don’t seem quite real. Still firmly back with the best of the shows I saw but failed to write about last year, I find myself wondering how it can possibly be true that I have been writing this blog on and off for three years and I have yet to write about the work of Joan Fontcuberta despite having loved his work for many years. I guess in part it comes down to there not having been a major exhibition of his work here until Stranger than Fiction at the Science Museum, which is now on show at the National Media Museum in Bradford (so even though it’s taken me an age to write about it you haven’t actually missed it yet). For me there’s a lot to like about Fontcuberta’s work. Firstly, there’s a sense of the absurd running through his practice that I enjoy. In some works the earnestness of the conceit is such that it can take time to peel back the layers and work out what’s fact and what’s fiction; other series are altogether more gentle and, of course, the work is often laugh out loud funny. It’s that time again. The year turns and I conclude it might be time I got back to writing about art a bit. This year I plan to be better at keeping it up but I’ll aim for regular(ish) but not especially frequent posts, perhaps two or three a week but with no long gaps. Maybe. And, probably inevitably, I’ll start things off by thinking back at the work I’ve seen over the past year and withering on about the works that have stayed with me. As usual, I’ve managed to miss a lot of shows I really wanted to see and some of the shows I did see were forgotten pretty much as soon as I’d left the space. So what managed to work its way into my head and stay put? The first thing that comes to mind is Untitled (Human Mask), a film work by Pierre Huyghe which I saw at Hauser and Wirth in October in Huyghe’s exhibition IN. BORDER. DEEP. Huyghe is an artist whose work I know rather less well than I should given that I think I’ve liked pretty much everything I’ve seen by him and writing about this work reminds me that I would love to get to know his work rather better. Every stood in the supermarket in a state of bafflement wondering which of the 2378297 (or more) different types of shampoo to buy? I know I have. Often. We are always being told that choice is good, but too much choice can be bewildering. Out shopping, especially in the supermarket, unless I fancy a change for some reason, I’m generally pretty focussed; there are definitely things I buy again and again. There’s often a lot to be said for sticking with what you know, of course, but as consumers we all need to make choices and often the sheer range of stuff on offer is overwhelming. * And, of course, when it comes to consumer goods, to a considerable extent we are what we buy. 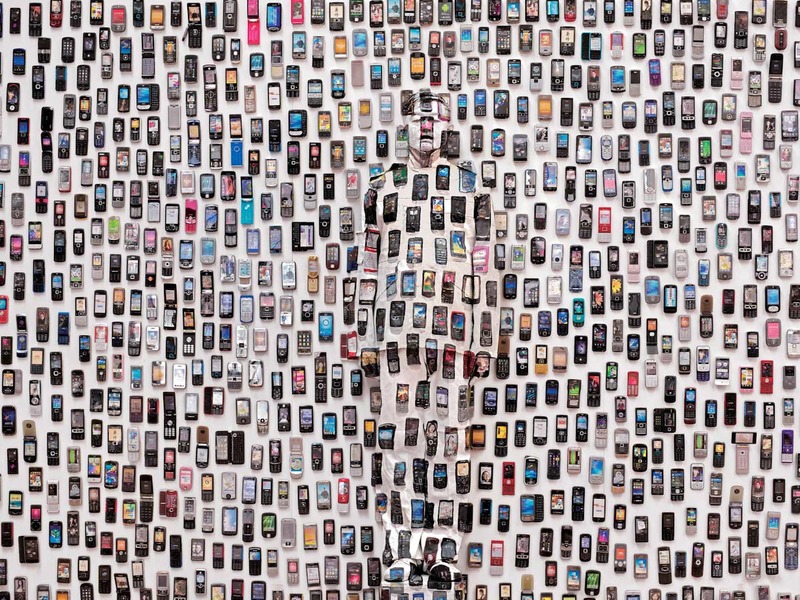 I’m thinking about getting a new phone so, with Liu Bolin firmly in my mind, this feels like a good time to distract myself from decisions by looking at Liu’s pictures. Other than knowing that they’re very rare and eat bamboo, I know very little about pandas. 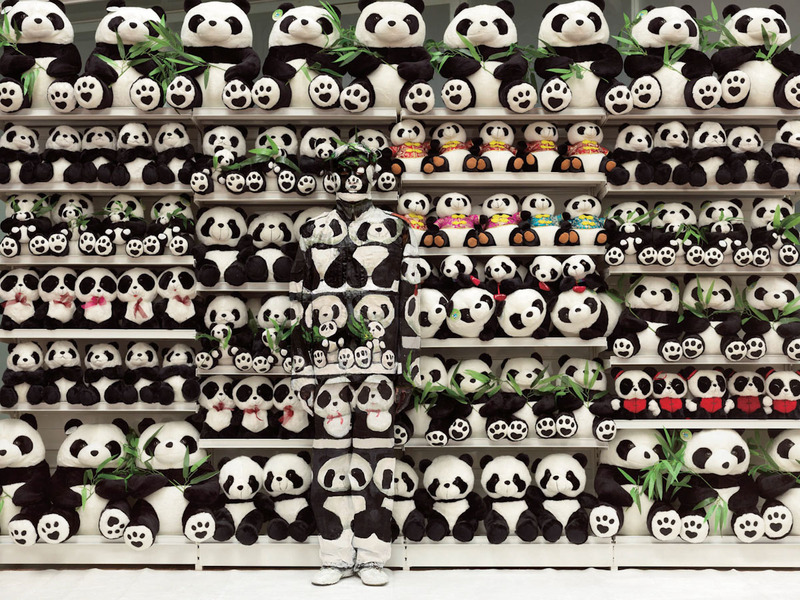 But the continued survival of the panda triplets born in China in late July gives me an excuse for a long overdue post about the work of Liu Bolin, the art world’s invisible man. Liu somehow manages to paint himself into the landscape allowing himself to disappear into the city. The resulting photographs are intriguing not least for the tension between the challenge of finding the artist – not always easy – and thinking about the significance of the scene and why Liu has chosen to hide himself within it. 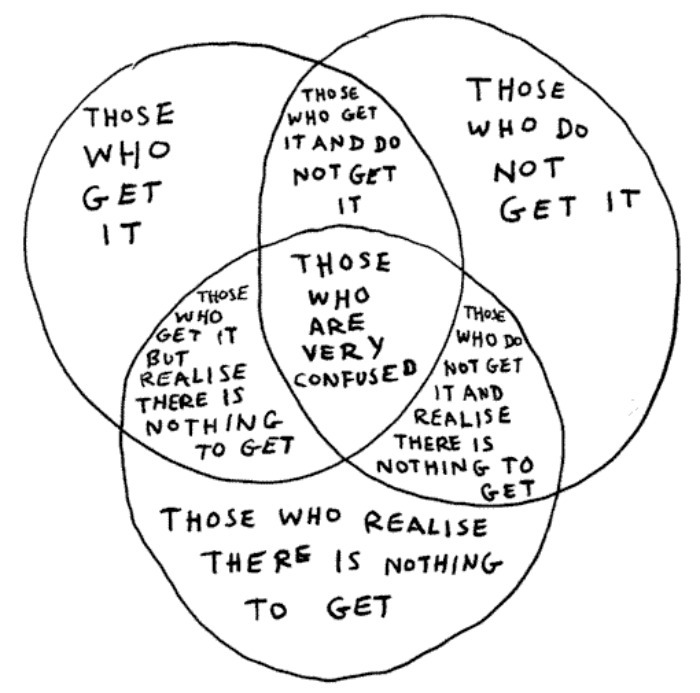 Mentioning venn diagrams in passing brought David Shrigley back to mind. I’ve posted about Shrigley before at the time of his Hayward Gallery in 2012. I really like Shrigley’s work but there was a lot I didn’t like about that exhibition so coming back to it now gives me the chance to simply enjoy the preposterousness of a couple of works. I think for me the ideal way to look at Shrigley’s drawings is to idly browse his books and pick out a few pictures to enjoy in small doses; Shrigley en masse and in the more public sphere of a busy museum scale space just doesn’t do it for me. What I like about Shrigley’s use of the venn diagram in Those who get it is the brilliant pointlessness of the whole thing. Ultimately with no explanation of what ‘it’ might be, are we all in the ‘those who don’t get it’ circle? Or maybe getting the joke is enough to put us in the ‘those who get it circle’? Before we know it, realising there is nothing to get, we find ourselves firmly at the centre of the diagram in the ‘those who are very confused’ area. Sometimes perhaps that’s exactly the right place to be. 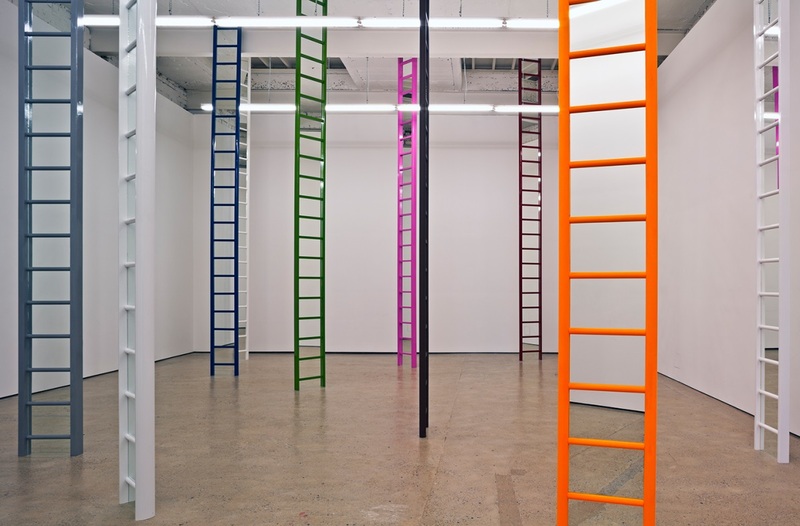 Ladders are maybe a clunky route in to thinking about journeys or uncertain outcomes but the ladders in Jim Lambie’s Shaved Ice are pleasingly odd. The colourful ladders seem to offer the possibility of reaching some higher place but the addition of mirrors into gaps between some of the rungs distorts the space and makes it hard to either trench or understand one’s destination. Enter your email address to follow ImageObjectText and receive notifications of new posts by email.